Our social stationery is digitally printed on 100% cotton paper and enclosed in a clear box. 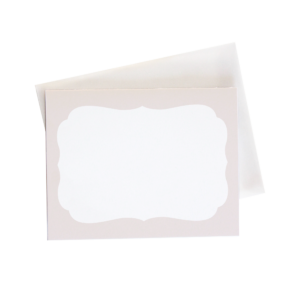 They are paired with translucent vellum envelopes. A2 folded card measures 4.25 x 5.5 inches, blank inside. Set of 6 of the same design.